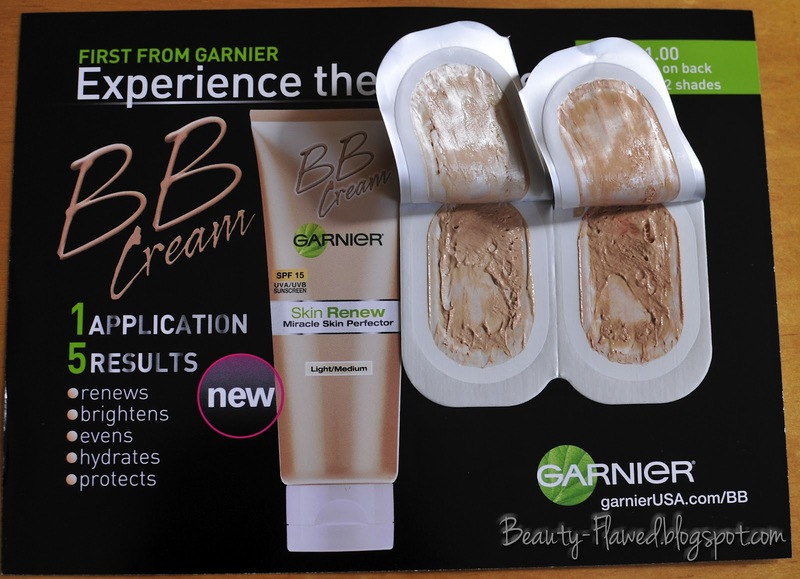 A few weeks ago Garnier was offering a free sample of their BB Cream and since I'd been wanting to try it out I requested the sample. It arrived yesterday and I must say I'm really glad I didn't purchase the full product because the lightest shade is still too dark for me. The sample was pretty small but I still had enough for one full face application. 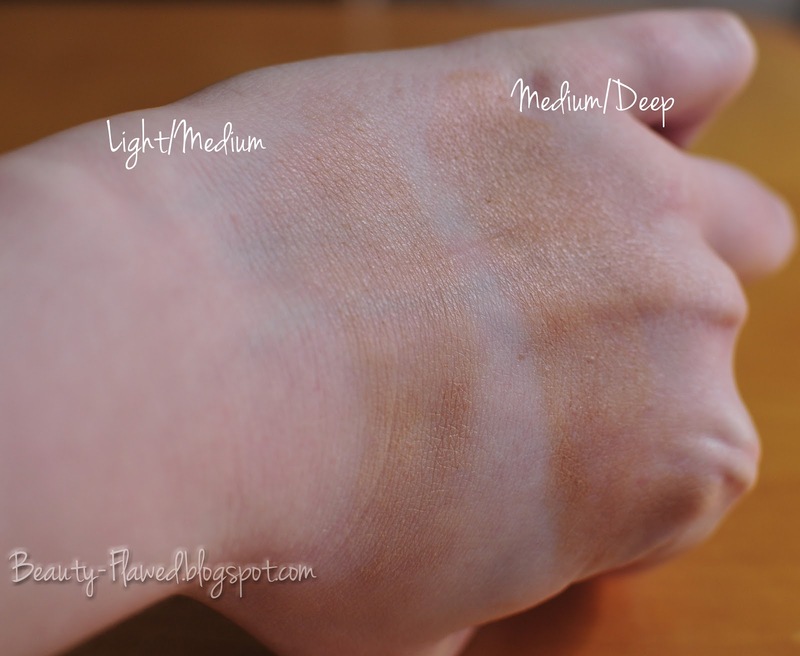 Id say it has good coverage if it matches your skin tone in the swatch picture you can see they both cover the scar on my hand well. On me the lightest shade looked too yellow and you could tell I had something on that didn't match. Also on application I feel that it felt oily and not in a good way. The full size of this product retails anywhere from $11.00 - $15.00 depending on where you buy it. I'm glad I waited to see how the sample colors were before buying. I've been searching for a perfect BB Cream that matches but no such luck yet. Have you tried any BB Creams yet? SN: Using the cheat method to figure out what will be in my Birchbox looks like I'll get to try out the Dr. Jart Water Fuse BB Cream. Fingers crossed that is accurate! 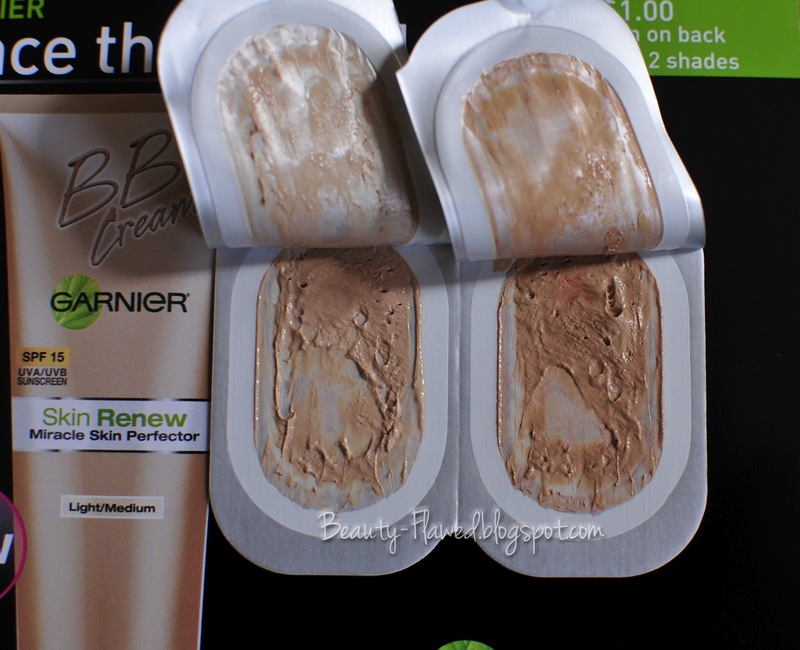 I haven't heard particularly good things about the Garnier BB cream- apparently its very greasy! 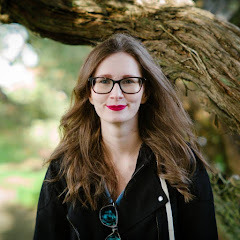 I am loving my Marcelle BB cream, and I've heard good things about the stila and Smashbox BB creams too! I too found it to be a bit oily. I saw your review on that it sounds wonderful! The Light/Med looks pretty dark. This is the second bad review I've read about this product which is quite disappointing seeing as it is one of the cheaper ones available that you don't have to order offline. When I put it on it was very obvious it was too dark for me I think they should really consider expanding their color lineup with this. You know I haven't tried the bb creams yet! This looks like a great product but I've read these products may not be the best for combo skin! I bought the full size and wanted to love it, but it's too dark for me, too... I can get away with wearing it with some translucent powder on top, so it won't go to waste, but I'm really hoping to love the Dr. Jart! I tried a couple of Korean/Japanese brand ones before, but they just are too heavy for me, I think. I haven't tried the Garnier ones yet, but I just tried a Garnier moisturizer that I, surprisingly, LOVE! I've been wanting to try those but been having trouble finding a legit seller. I do like some of garnier moisturizers that I've tried too.